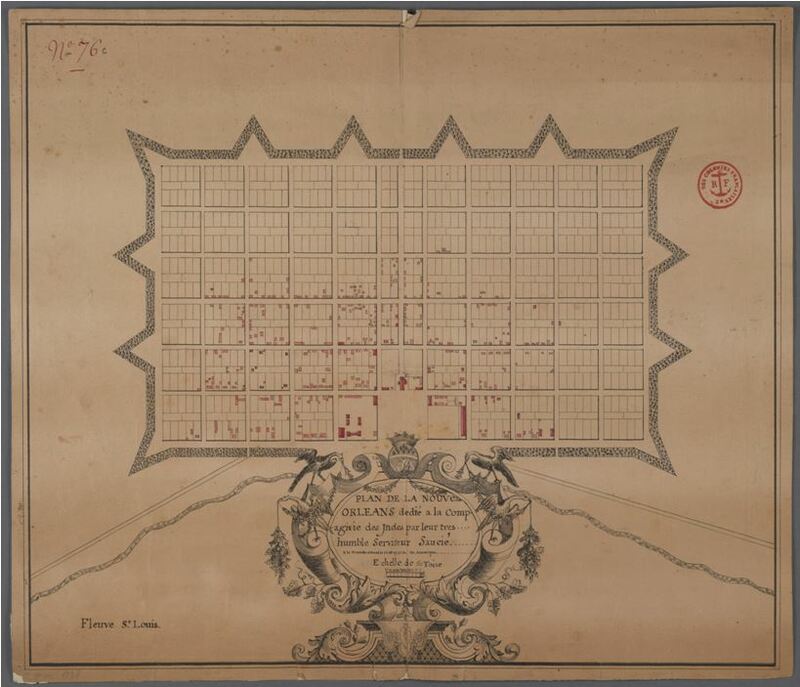 ​This is a photo the Map of New Orleans drawn by 16 year old Francois Saucier, son of Jean Baptiste Saucier and Marie Gabrielle Savary in 1728. It was instrumental in getting Francois sent to Paris by the Governor of the Louisiana Colonies for further schooling in Paris from 1728 to 1730.
à la Nouvelle Orleans le 12 May 1728.
at New Orleans on 12 May 1728. In this first map to be drawn by Francois in 1728, notice his spelling of our surname, he used the early spelling of "Saucie" for our surname. This was a common spelling of our name in the early years of the Colony. The spelling would change in future years to "Saucier". Below is a cut out of his spelling on the early map.